I have a pretty horrible night time routine. in other words, I don't really have one. So my night stand saves me every night. Water is something which is pretty important to me. I tend to drink more during the night than most other time. I usually have a big bottle of water with me. At least a one litre because you never know when you wake up thirsty from a nightmare and there is NO way you are leaving the safety of your bed. I have extremely dry lips so lip balm is a must. The MOR's lip balm was actually a present from an old housemate and it has probably lasted longer than it should, but I just can't part with it. I love the smell of it (I have the Peach Nectar flavour) and I keep smelling it after a while of wearing it. For a product that looks more like a novelty buy, it has great hydration and longevity. This hand cream has saved me! As you probably may have noticed I'm a very dry person in general. So this is great. It is so hard to find a hand cream in large bottles and I love that it has a pump bottle. I'm always on the go (I'm always late) so I can just walk past and put some on. Something I do every night before going to sleep is lather my hands and elbows in plenty of this stuff. The smell is great. Full of Earthy tones and it doesn't smell like fake artificial products. It's great and the smell usually stays until I fall asleep. But what I really love about this is that some of the money goes to charity. You can track where your money has gone with the code on the back of the bottle. This is pretty basic. I'm a snotty person and I get sick very easily so tissues are an essential. Plus I don't know what you dirty people use them for... Briony! I know this sounds pretty fancy, but it's not. Like I may have mentioned, I am a really dry person, so my eyes get really dry and painful. I don't use this every night because I don't want my skin to get used to it but it has been getting better since I started. I really need the extra help with my eyes and it's amazing. I don't think my body is happy with the Australian climate. Maybe I should just move to a beautiful tropical place and eat coconuts on the beach. 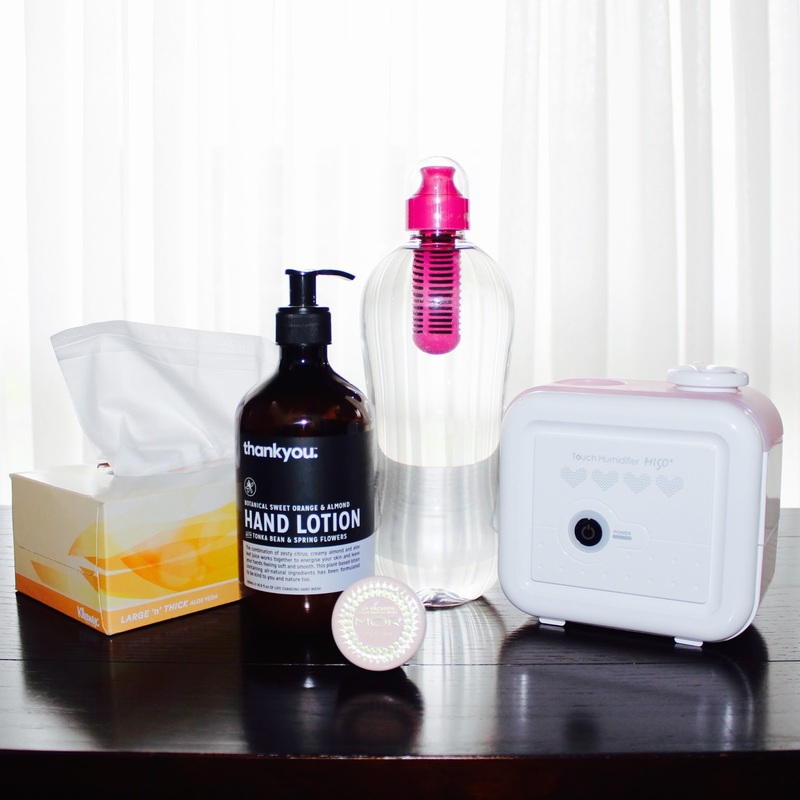 What are your top five night stand essentials?